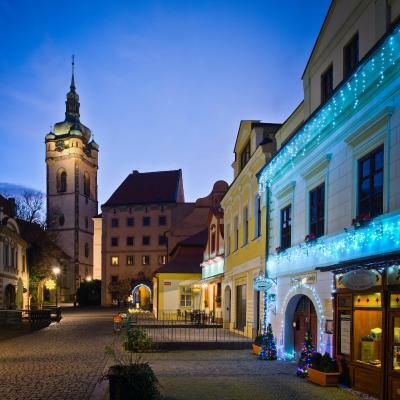 Lock in a great price for Penzion U Zámku – rated 9.5 by recent guests! Breakfast was really good since they offered hot options for breakfast unfortunately when we went it was already a little late so the bacon and some other meat as well as the eggs were already room temperature. I loved the decor, views, staff, and really just everything. It was my favorite stay of anywhere I’ve ever been! The facilities were amazing and the staff was very kind. 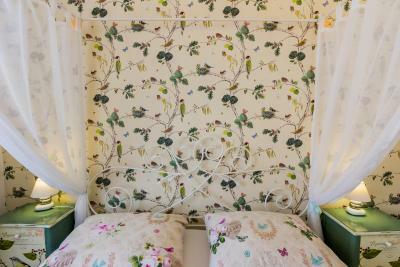 Everything was very cute and super comfortable. We always stay here when around in Chez. One f the best places I ever stayed. Everything was great. 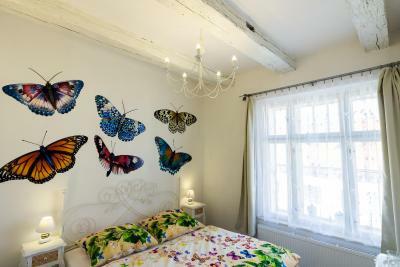 Clean and very comfortable rooms, tasty breakfast and the town was nice, too. 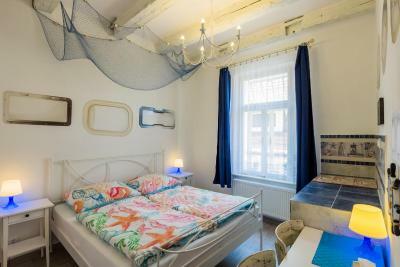 It is very close to the castle where there is a wonderful view of the confluence of Vltava and Elbe Rivers and the valley below. 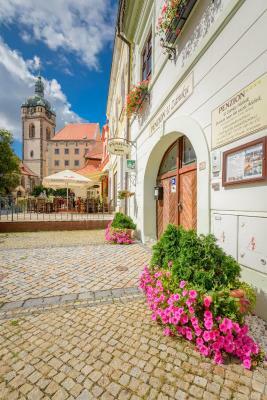 Melnik is an ideal base for exploring the countryside and other Lobkovicz castles. 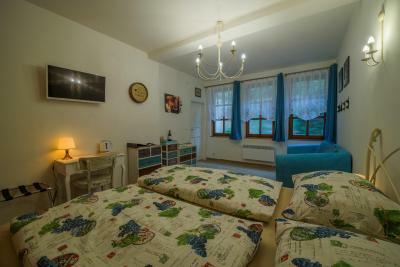 Nice guest house right next to Melnik Castle. 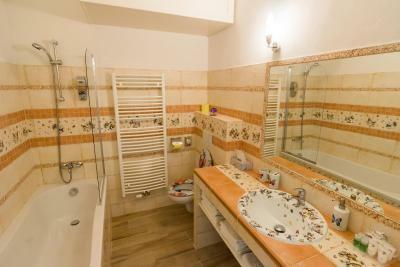 Very spacious room with a kitchenette and a washing mashine. Breakfast delivered to our room was good and sufficient. Parking is nearby. Next door you'll find a good restaurant. The town itself is nice, too. 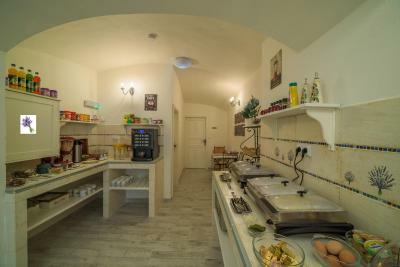 Excellent location, friendly and punctual staff, delicious breakfast. Generous breakfast, the silence, service, location, everything! 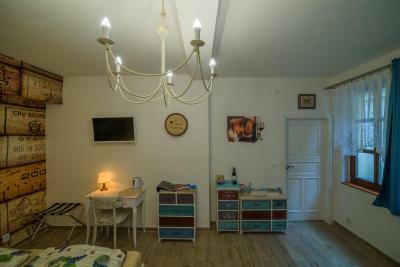 Penzion U Zámku This rating is a reflection of how the property compares to the industry standard when it comes to price, facilities and services available. It's based on a self-evaluation by the property. Use this rating to help choose your stay! 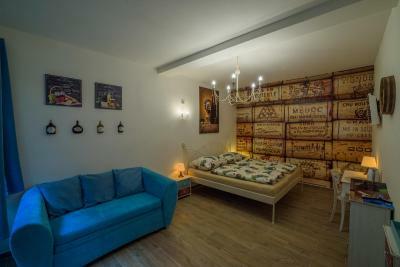 One of our best sellers in Mělník! 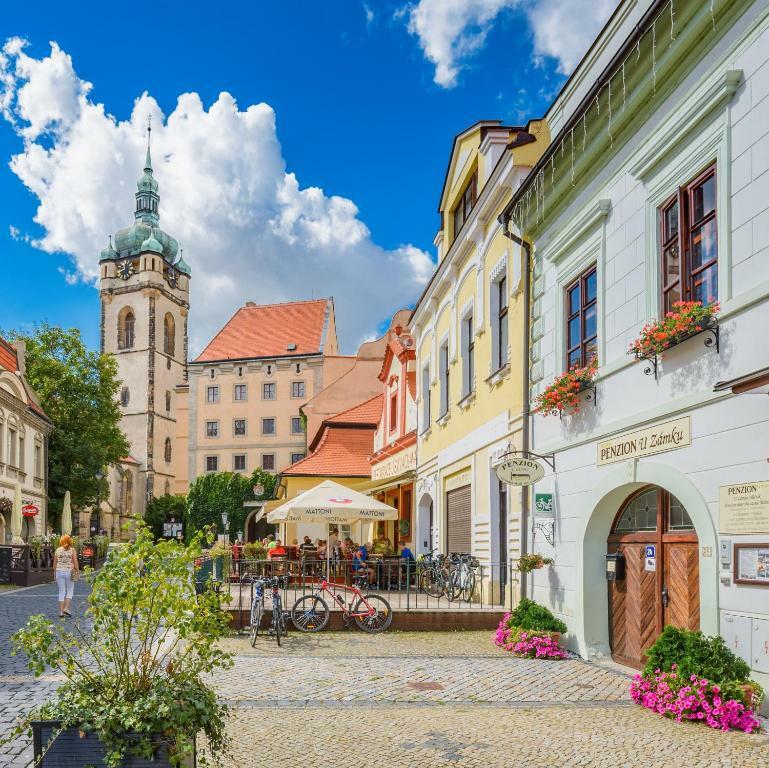 Located in a historic building right at the heart of Melnik, Penzion U Zámku is only 100 feet away from Melnik Castle. 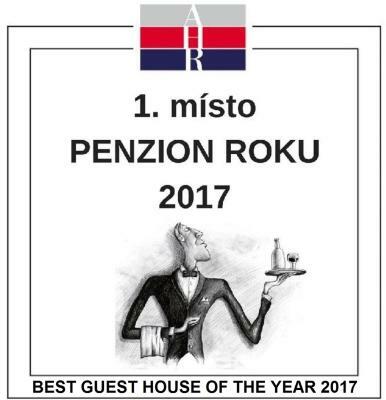 The property has been awarded The Best Guest house of 2017 Award. Free WiFi and free on-site parking are available, as well as free parking on the square nearby. 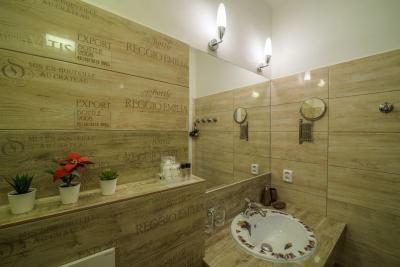 The units feature a flat-screen satellite TV and a bathroom with a shower or bathtub. 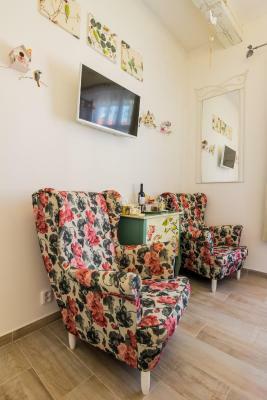 One unit is furnished in a historical style, featuring exposed ancient stone walls, while others are fitted in Romantic Style and Provence Style. 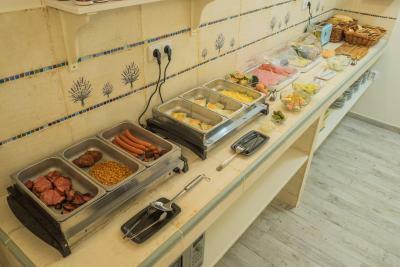 Penzion U Zámku offers buffet breakfast including hot buffet. 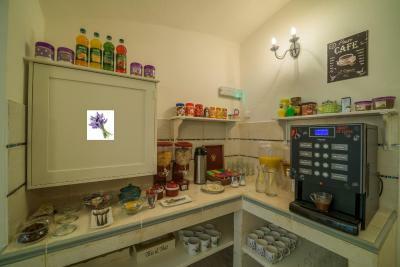 Coffee and tea is available for free. 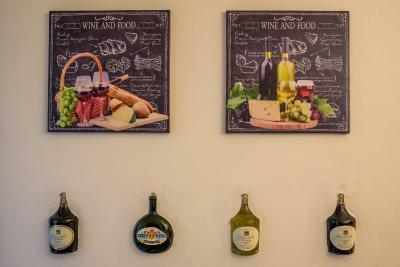 A bar serving drinks, snacks and characteristic wines from Melnik is at guests' disposal. Children up to 12 years of age can stay free of charge and a lockable garage for bikes and motorbikes is available as well. 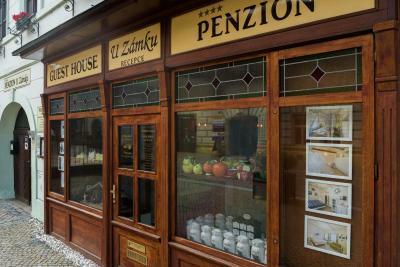 Penzion U Zámku is located on the car-free Svatovaclavska street, where you can find many restaurants and pubs serving Czech and international cuisine. This property also has one of the top-rated locations in Mělník! Guests are happier about it compared to other properties in the area. 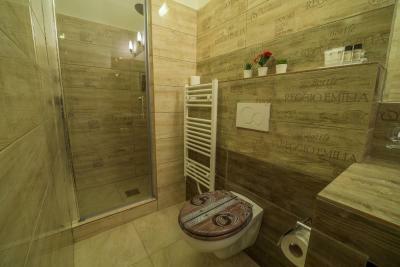 This property is also rated for the best value in Mělník! Guests are getting more for their money when compared to other properties in this city. 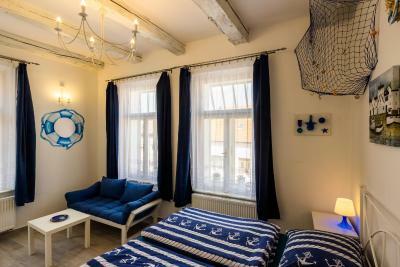 When would you like to stay at Penzion U Zámku? 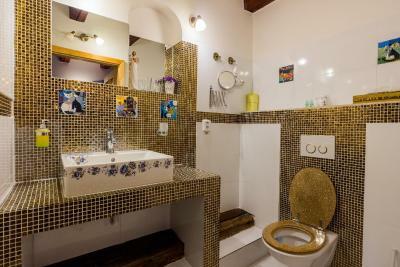 This apartment includes a private bathroom, a kitchenette and a seating area with a flat-screen satellite TV. Free WiFi is available. In addition, it also features an outside seating area with barbecue facilities. 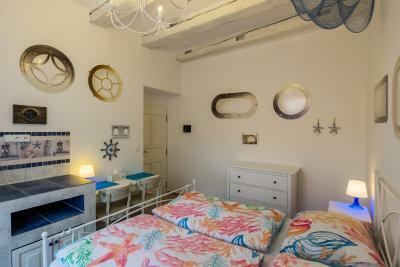 This studio features a seating area with a flat-screen TV, a well-equipped kitchenette and a bathroom with a shower. Free WiFi is available. 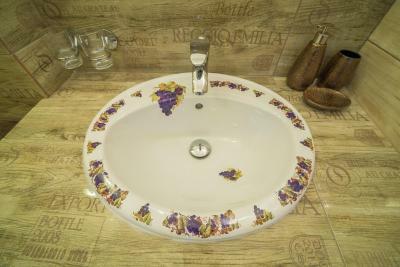 This room is decorated in a Provencal style with lavenders. 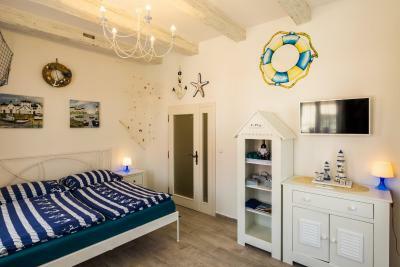 This spacious suite comes with 2 bedrooms and 2 bathrooms with a bath and a shower. Free WiFi is available. 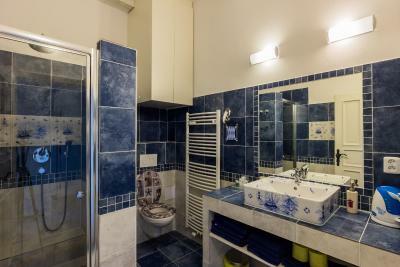 This quadruple room has a microwave, tile/marble floor and private entrance. Outside seating area in the garden is available. 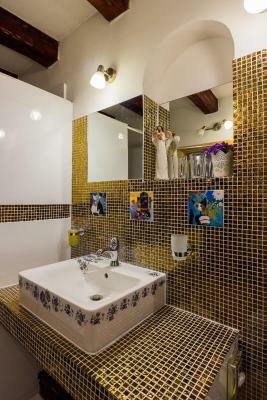 This double room features a tile/marble floor, sofa and mini-bar. Please note that the room is located in dependance 1 minute from the main building. Please note that the room is located in dependence 1 minute from the main building. 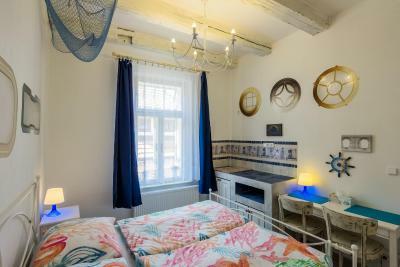 Right in the heart of the historic center of Melnik near the castle, we offer romantic, stylish and friendly accommodation in historical, completely renovated house. From Prague you are with us for half an hour by car. Free WIFI, free parking. 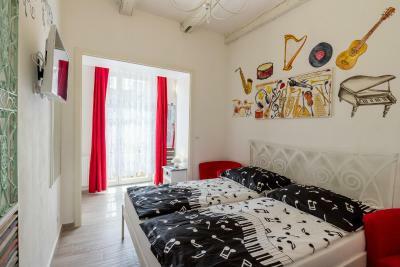 House Rules Penzion U Zámku takes special requests – add in the next step! Penzion U Zámku accepts these cards and reserves the right to temporarily hold an amount prior to arrival. The fact that we had to call to get the keys since the bell didn’t work. If we had no international coverage on our phones, this would have been an issue. Found several hairs in the bathroom upon arrival, cleaning definitely needs improving. Witch figure above the bed is really a bit scary, especially when you wake up in the middle of the night. No washing detergent - had to walk to Tesco for it. It would be great to get breakfast before 6:00 next time. 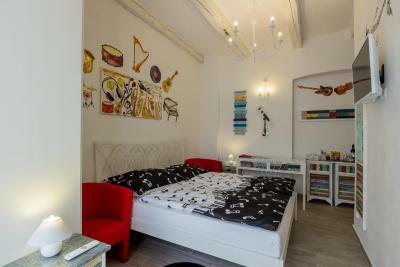 Very cosy and artfully decorated apartment, worth to stay. Good price. 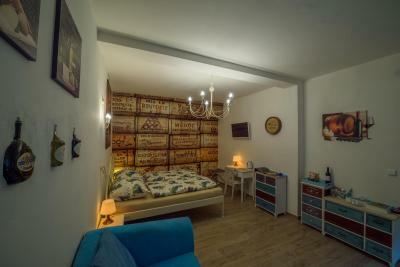 Excellent location in the heart of the city. 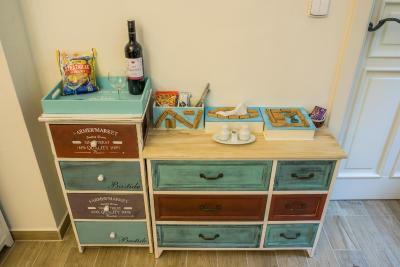 Tidy rooms with very unique design, minibar, friendly staff, efficient check in and check out. Stairs to bedrooms a bit steep for old and young people. Nothing to to fault it. From initial booking to our stay and departure.excellent breakfast.very helpful host. 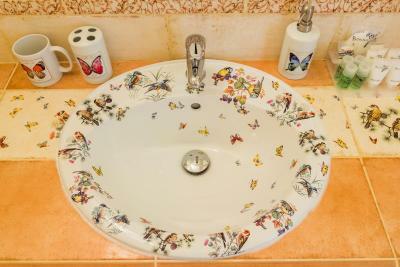 Lots of special and thoughtful touches to make it our number one accomadation on our holiday. Breakfast and it was quiet, and good location. Liked it all. Odd though that after you register the owner walks you round the block to the rooms. Rooms are new and nice. Breakfast was very good. Excellent breakfast, warm and friendly host. 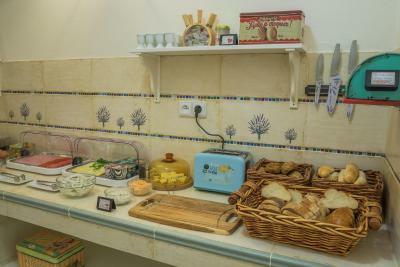 Nice appartement, friendly people preparing breakfast. Storage garage for bikes a little bit small for the many bike travellers. The entrance was like the building was fowlling down , very ugly , Much noise from the road, very much from the tram, police cars with the sirene , ambulance. The Floor maked so much noise also. And the sofa bed was awful, it was coming sand from the wall, Who it's not Paint it or finish.